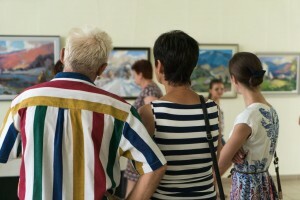 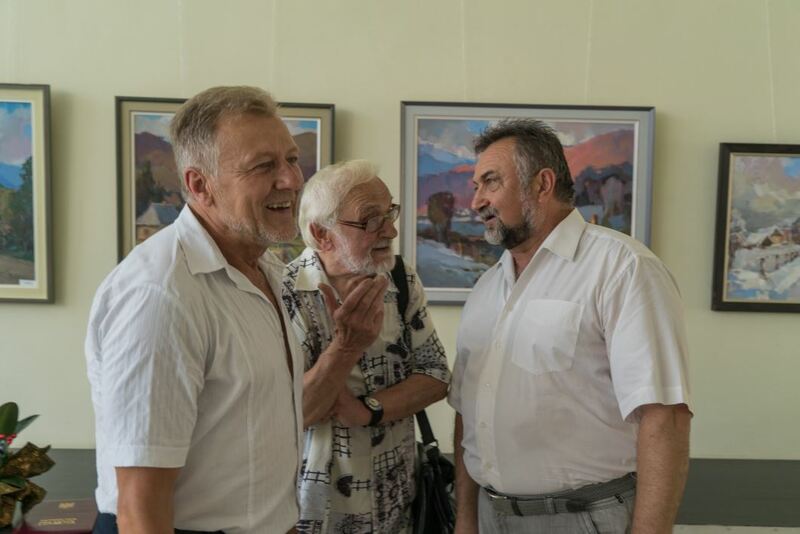 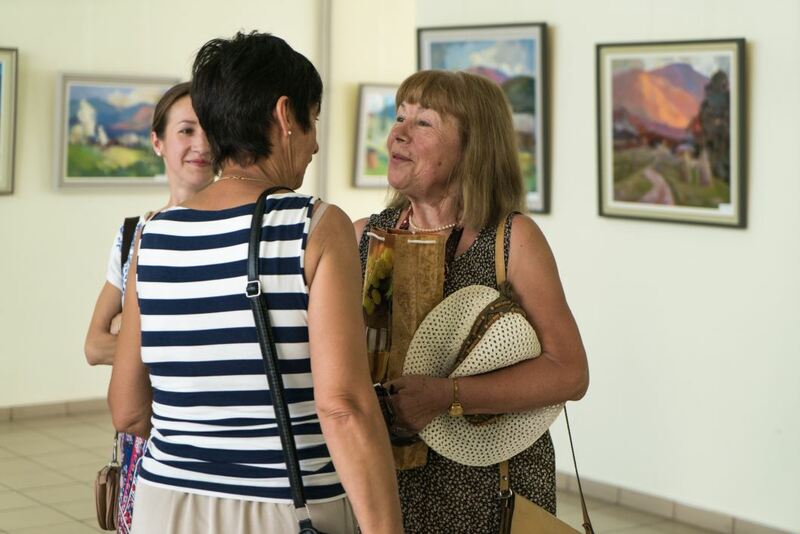 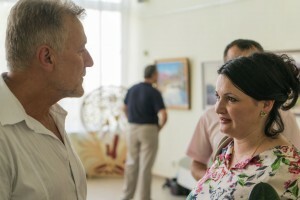 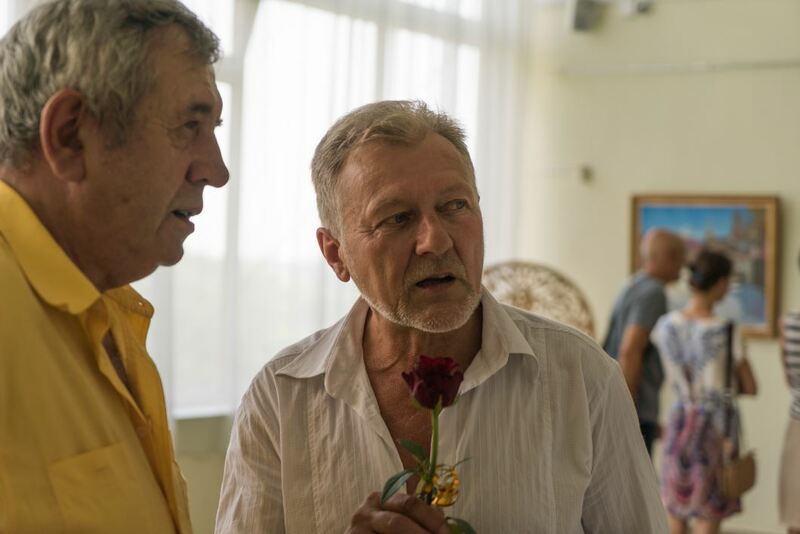 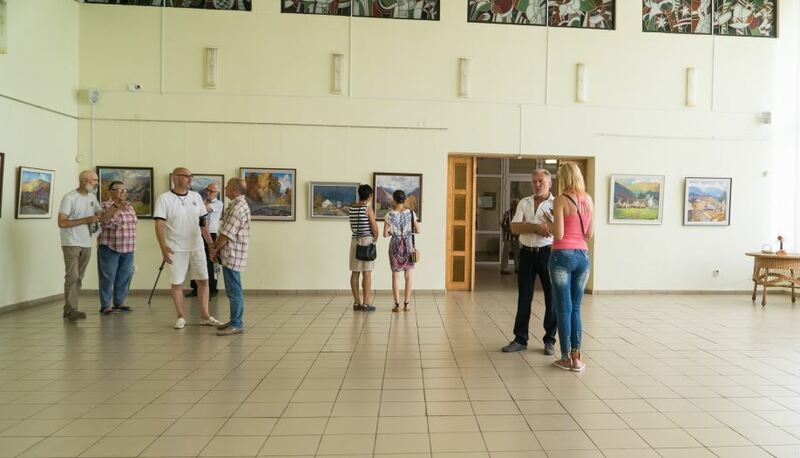 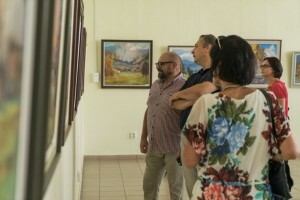 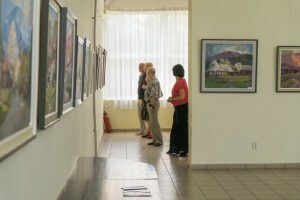 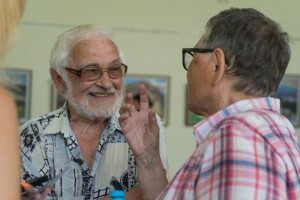 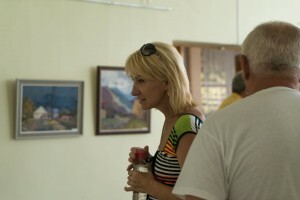 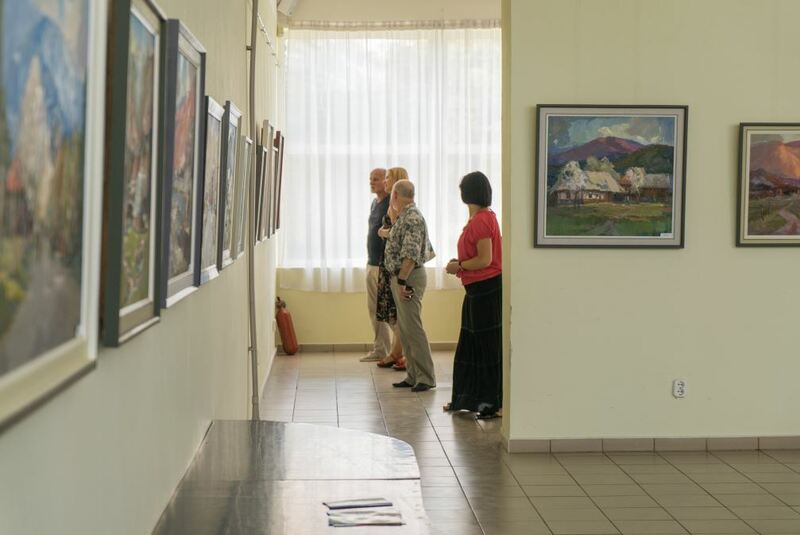 On August 3, 2017 it was opened a personal exhibition of the member of the National Union of Artists of Ukraine Vasyl Dub in the Transcarpathian Museum of Folk Architecture and Life. 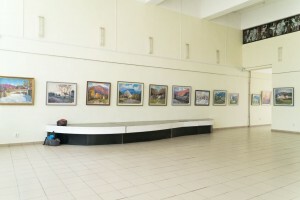 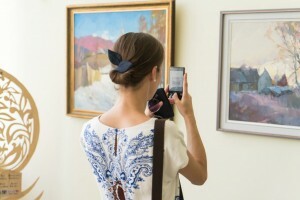 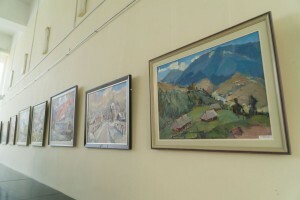 The exhibition is timed to the artist’s 60th anniversary. 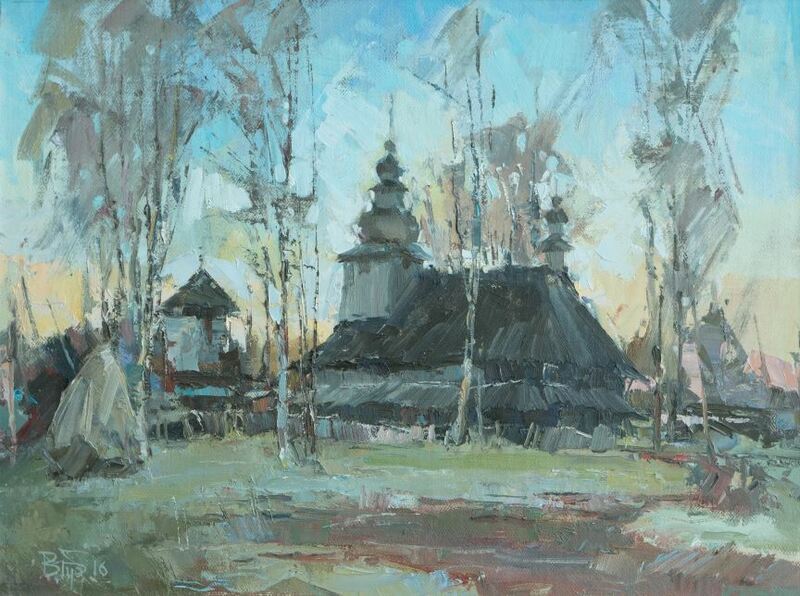 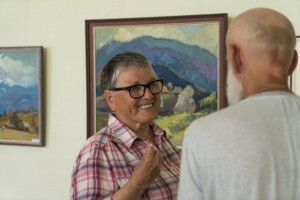 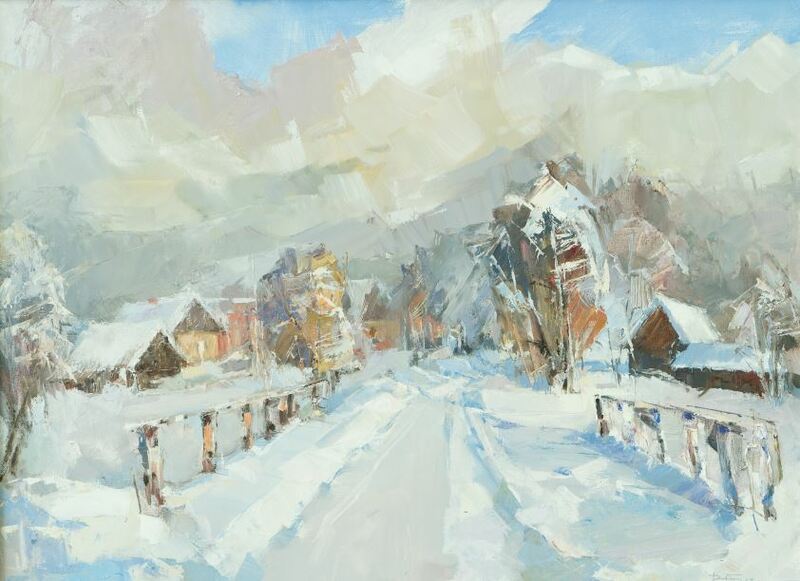 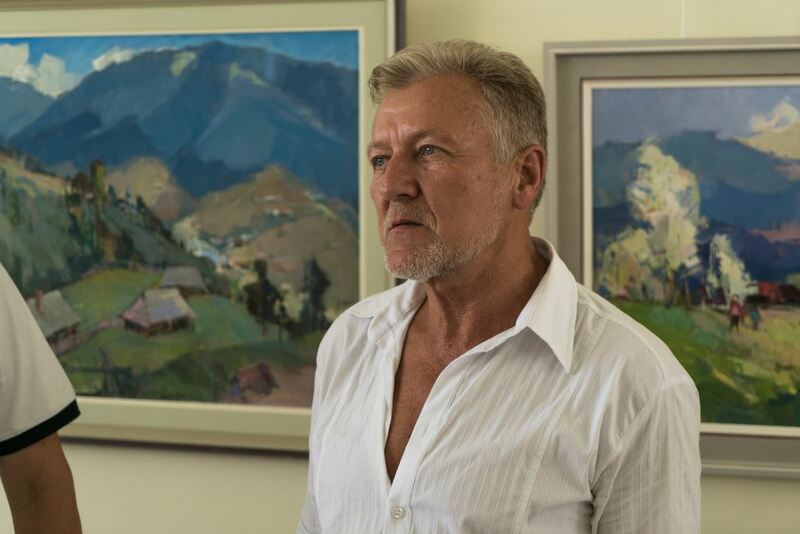 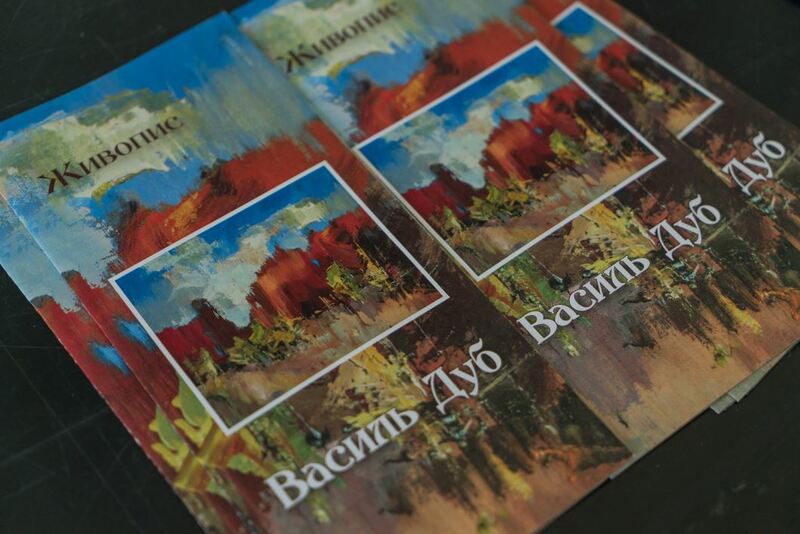 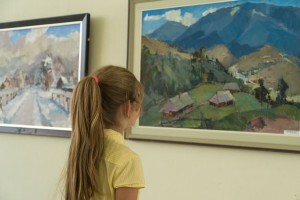 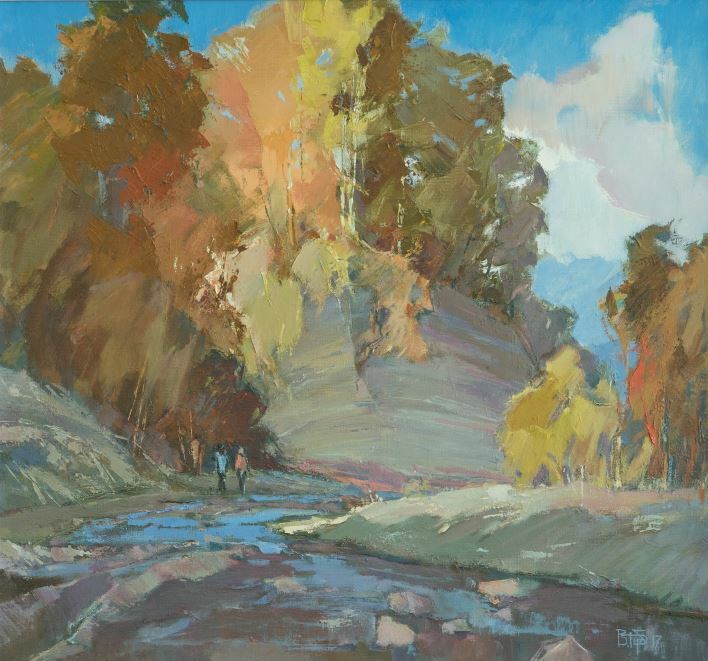 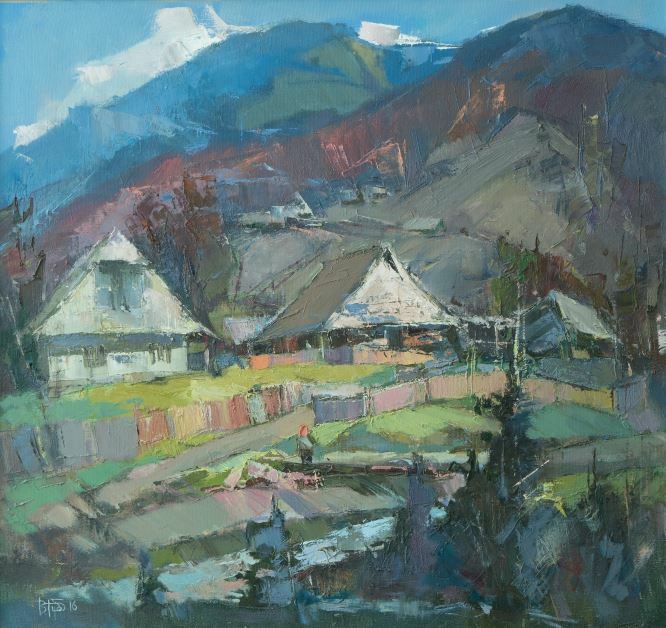 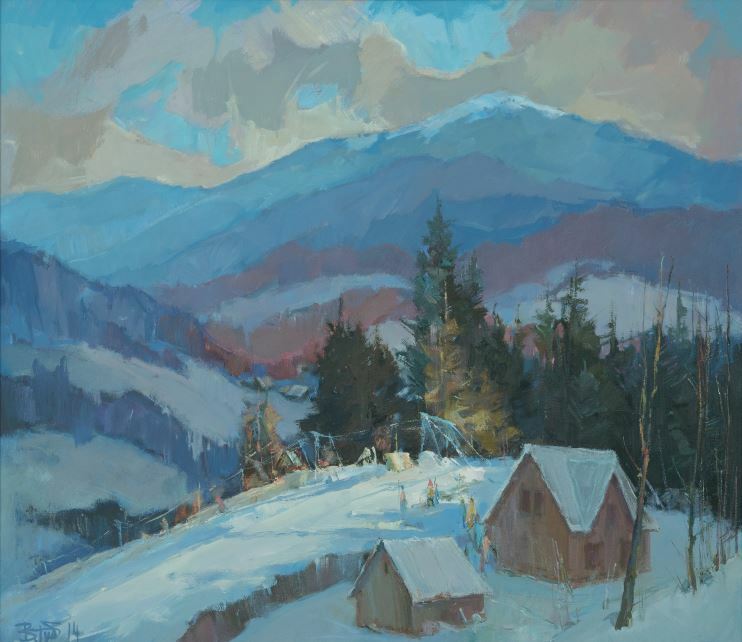 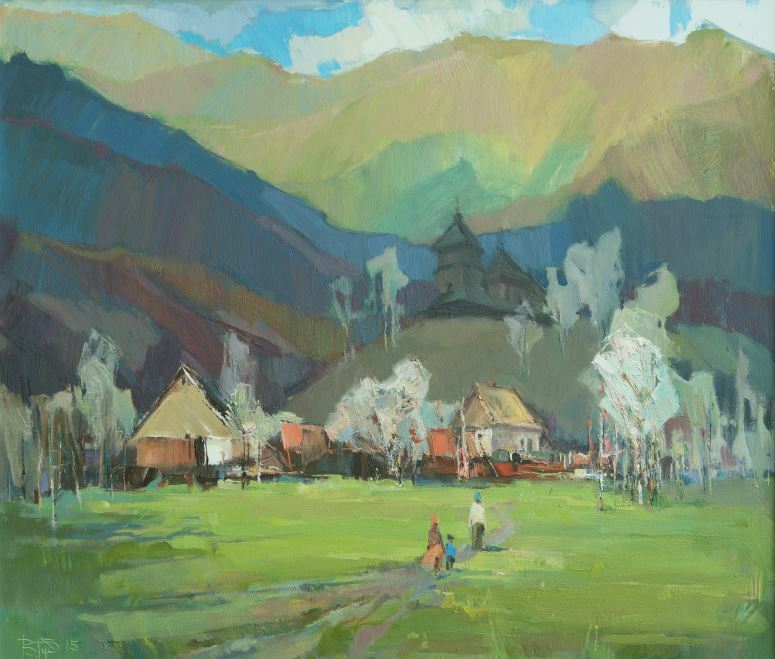 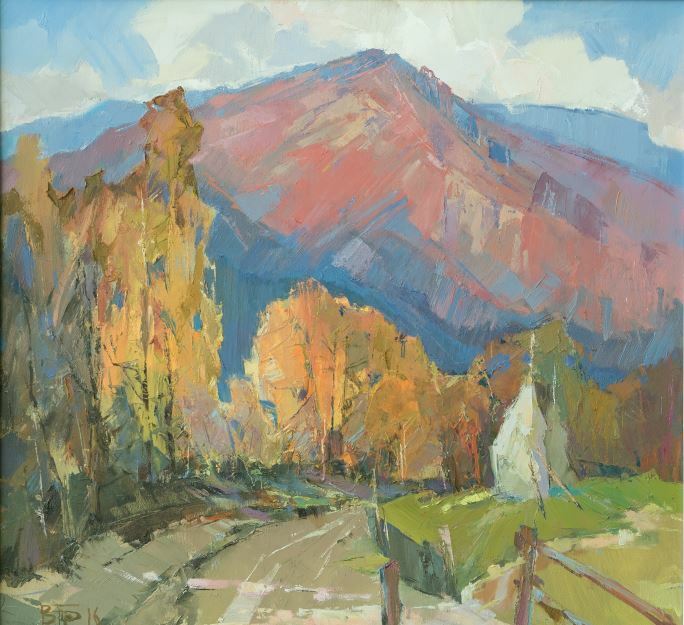 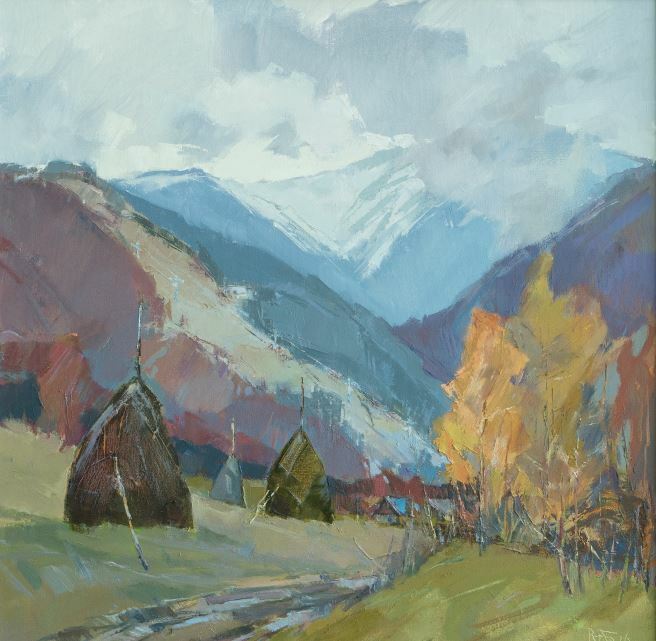 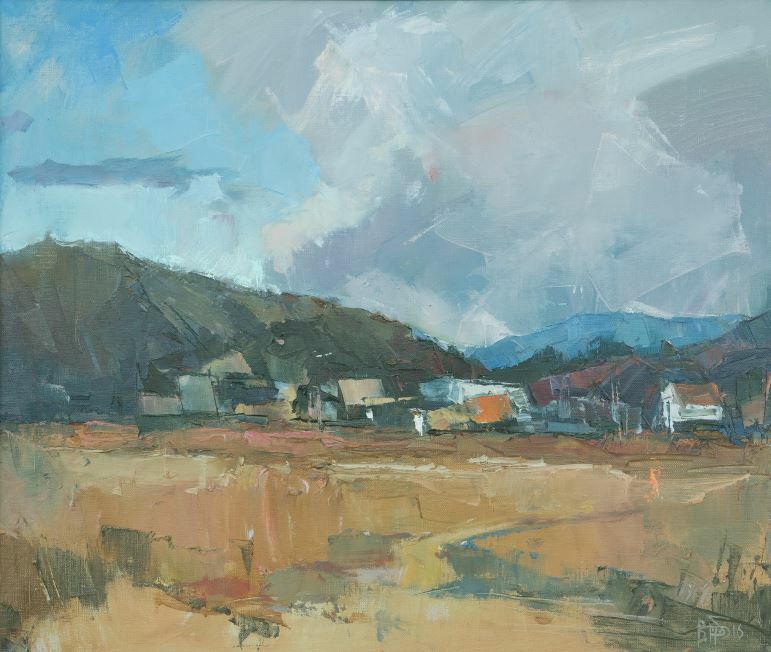 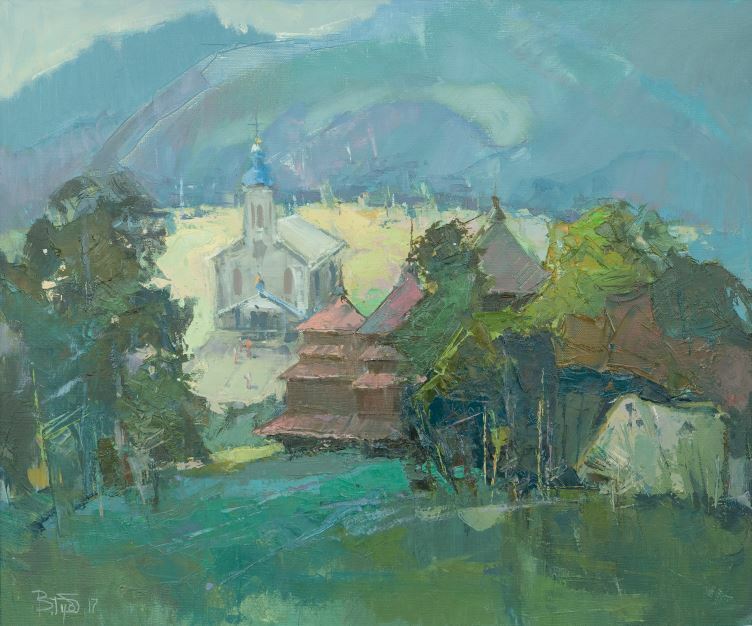 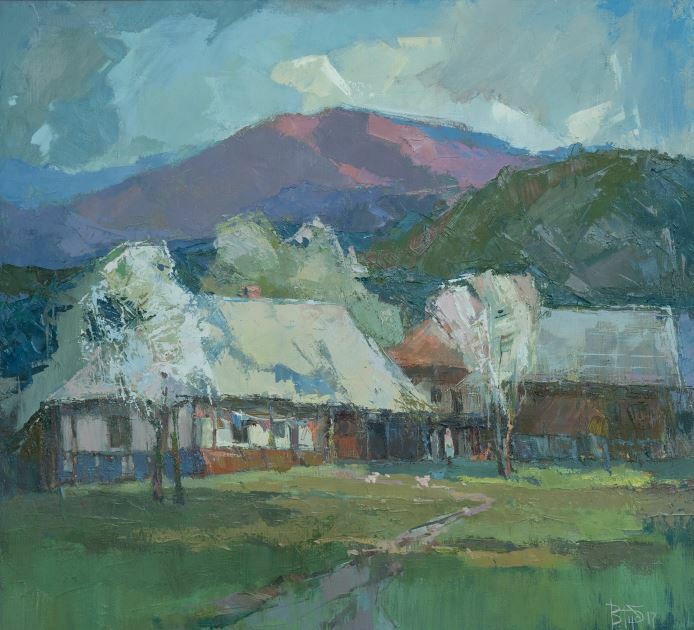 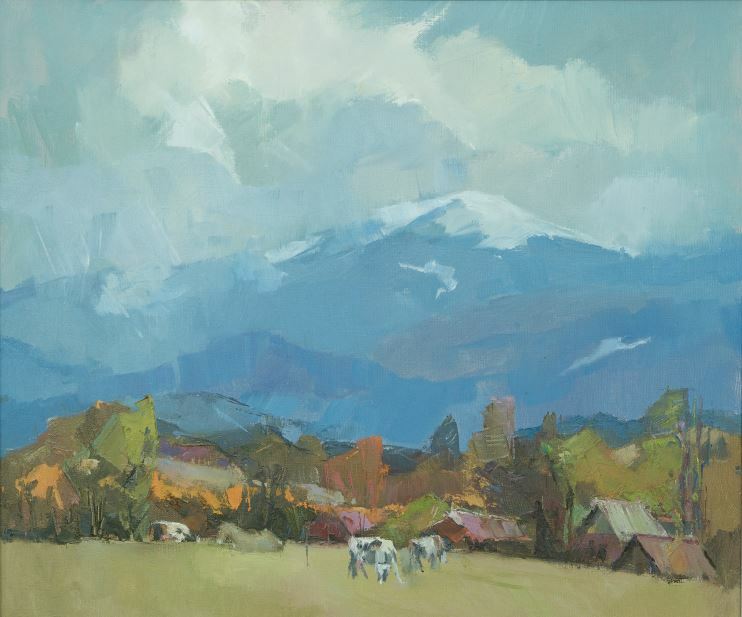 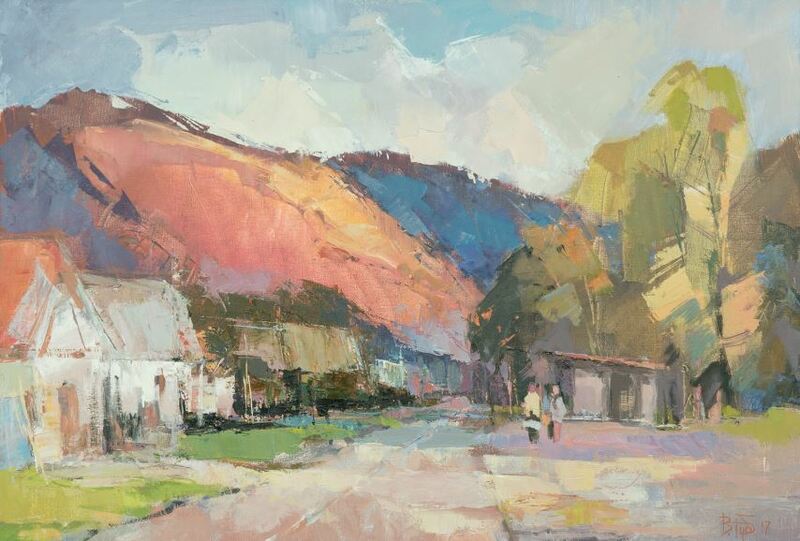 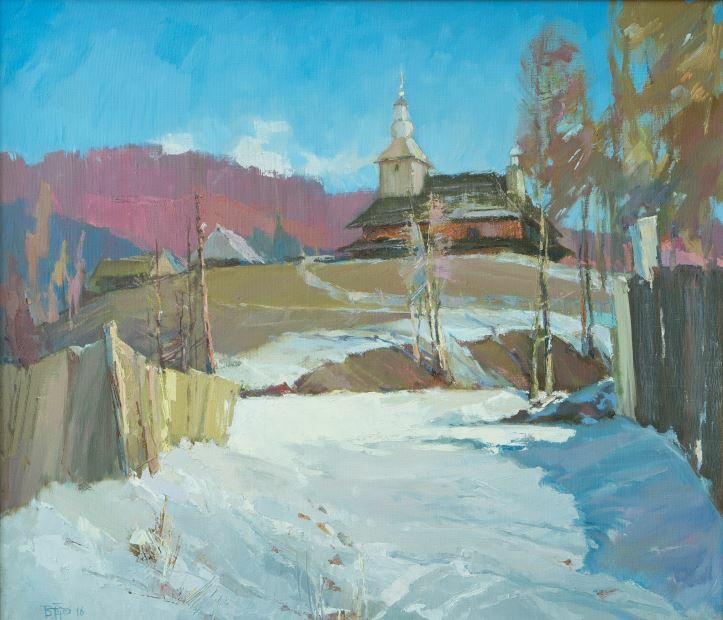 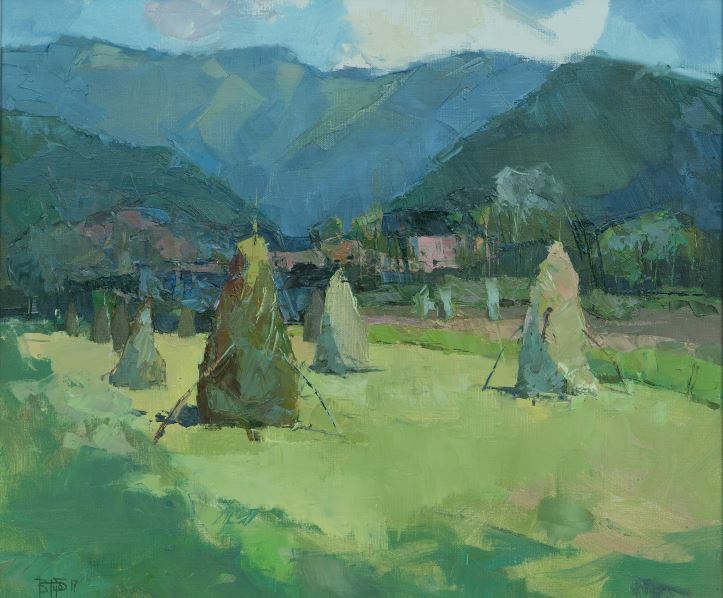 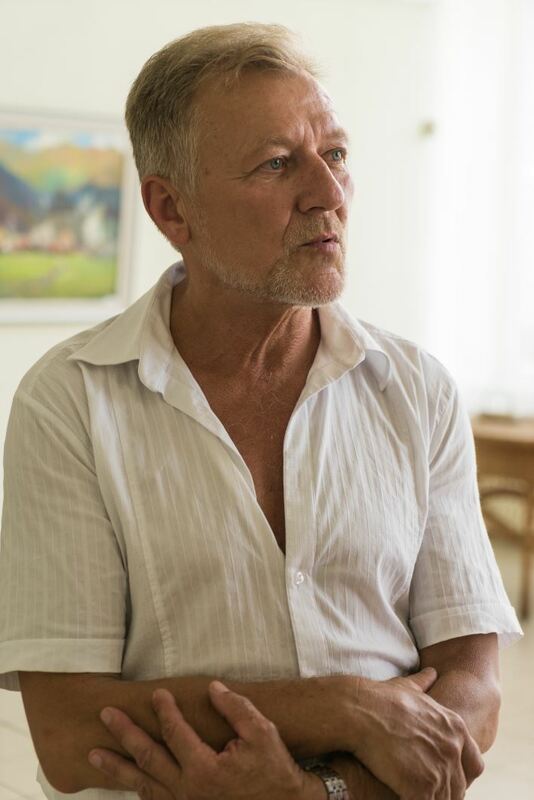 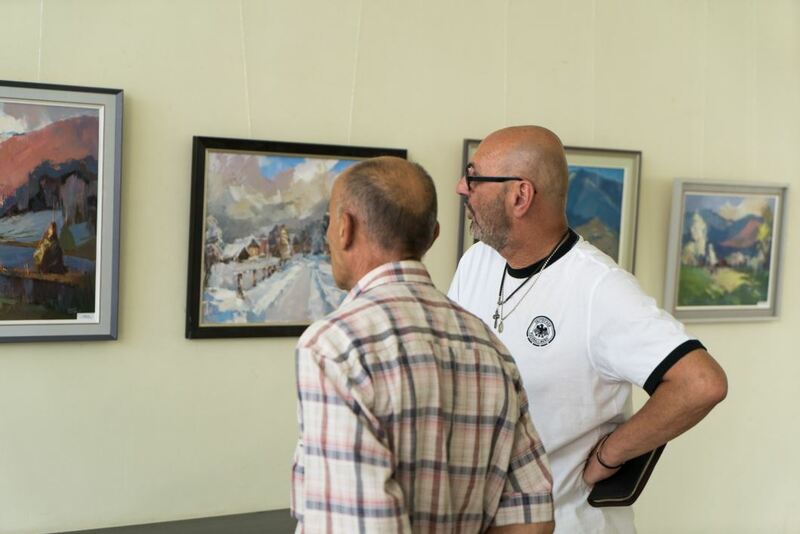 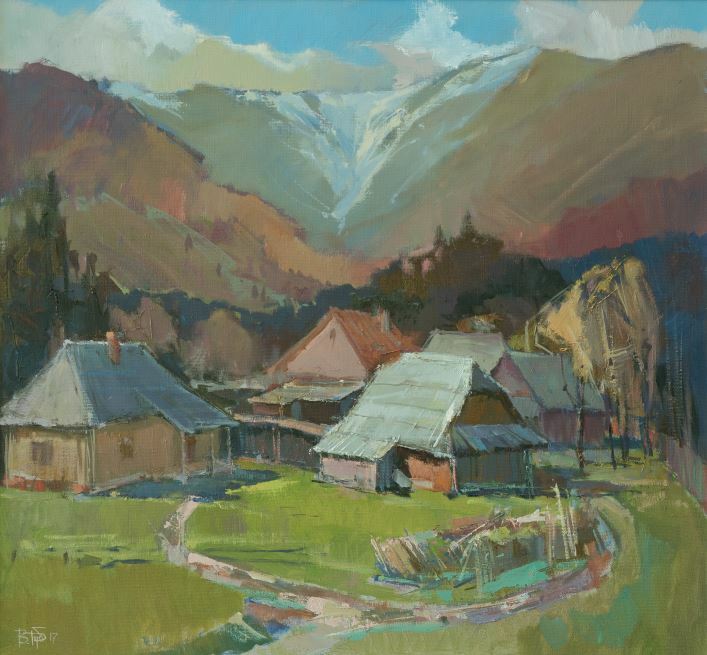 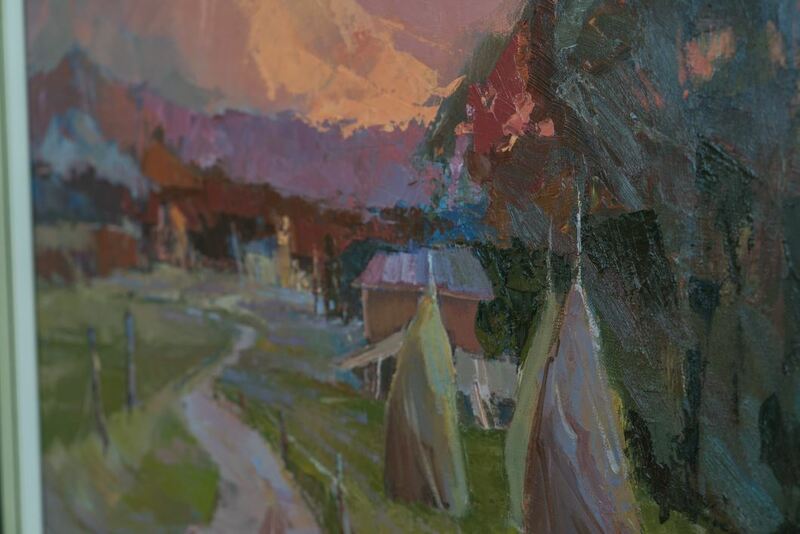 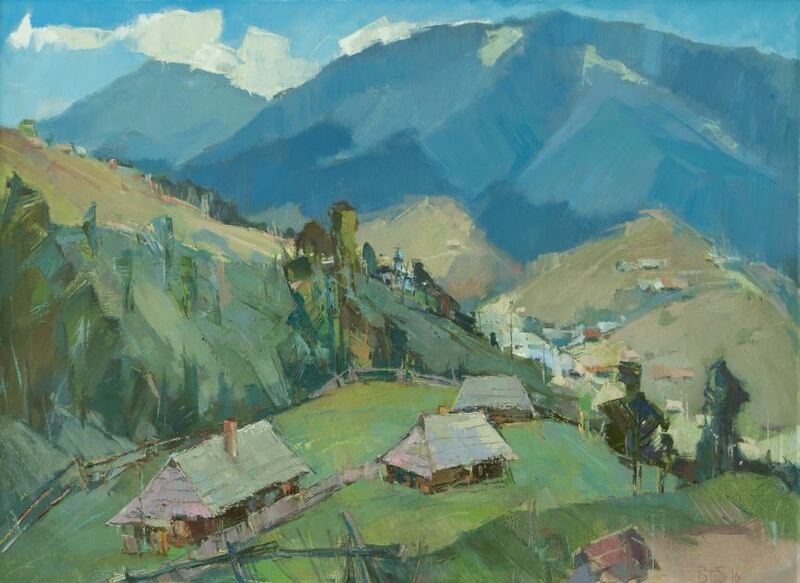 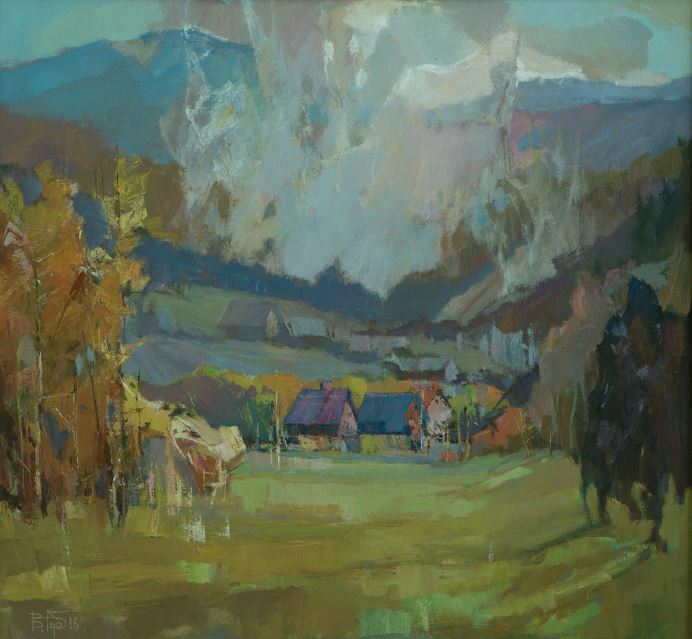 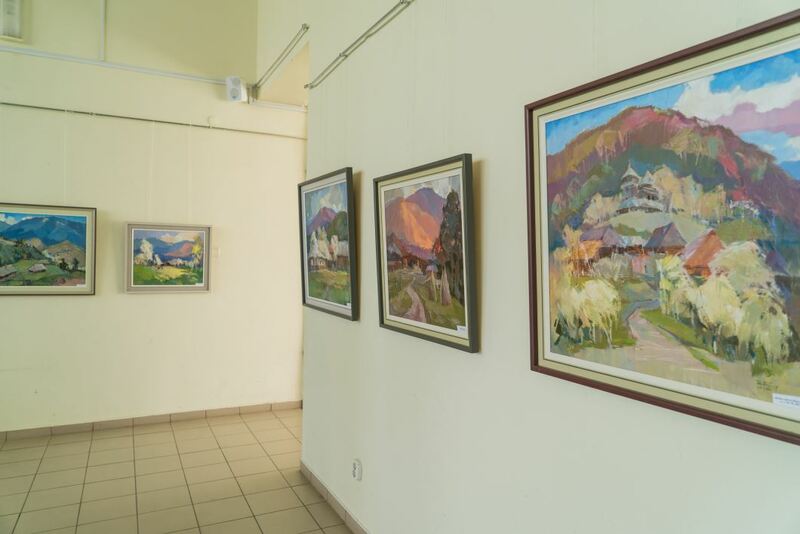 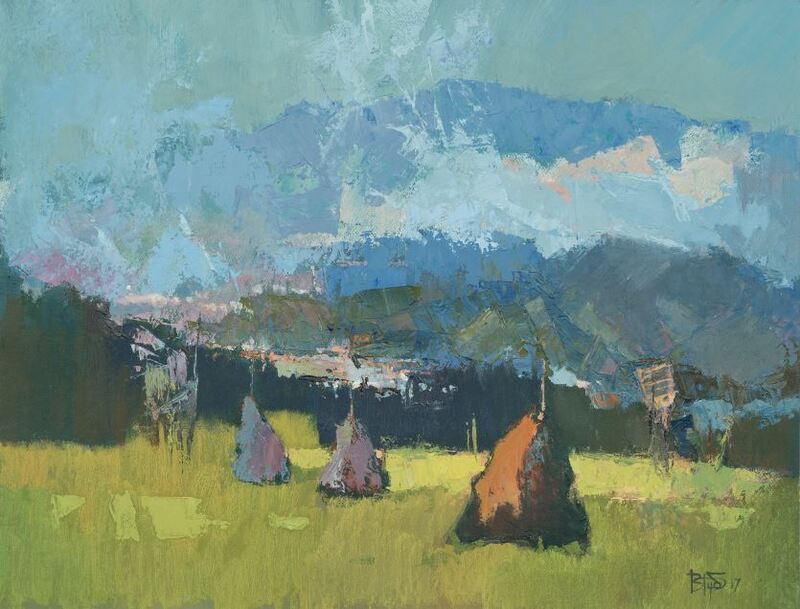 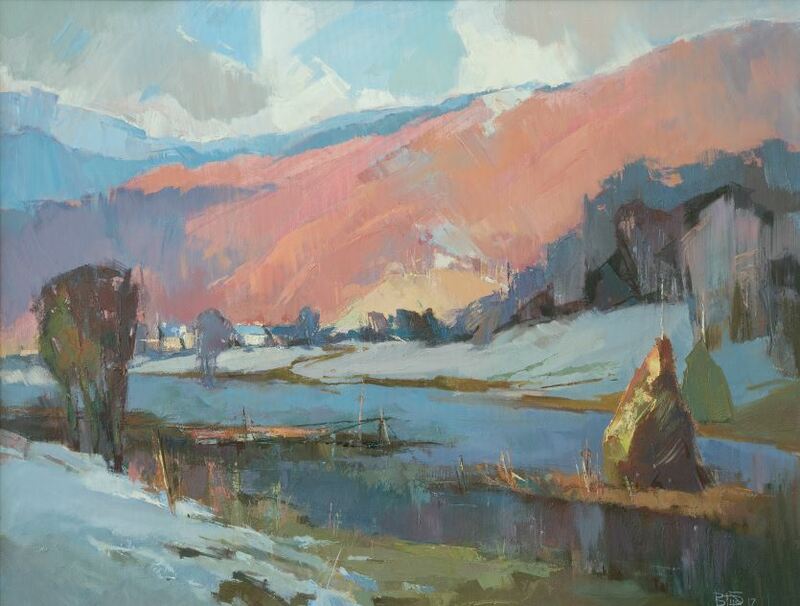 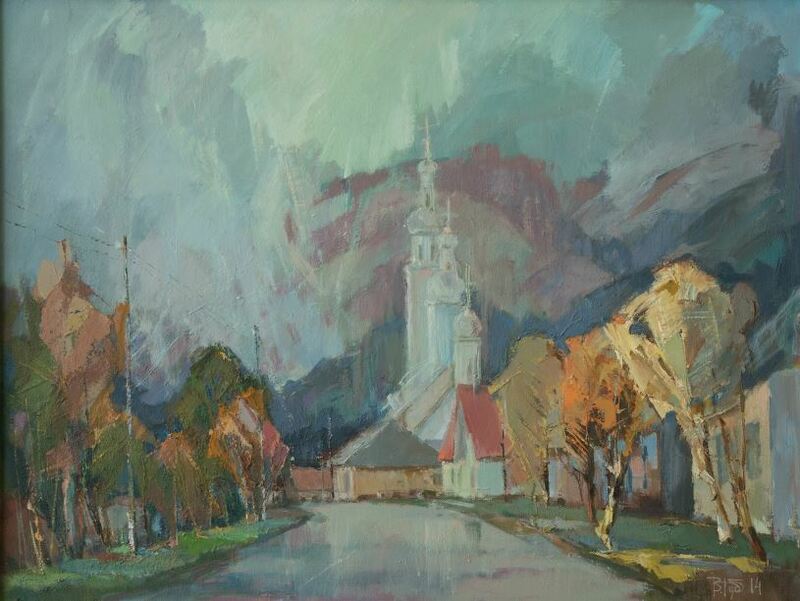 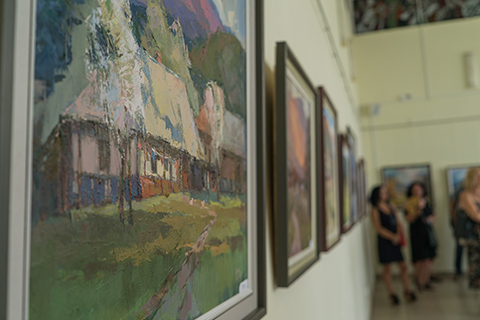 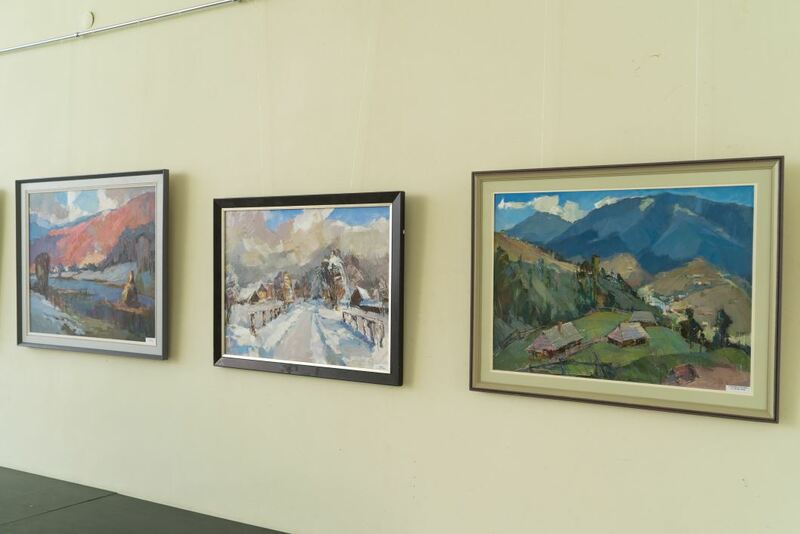 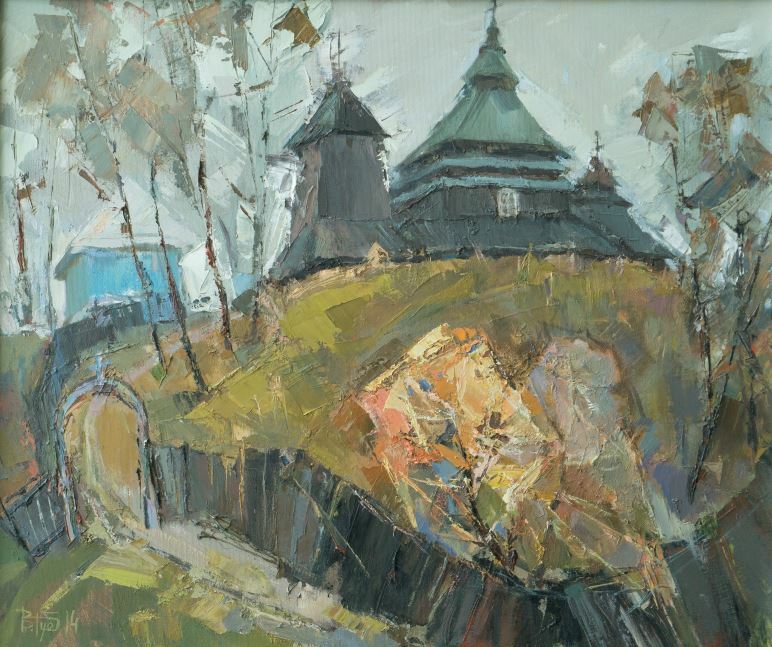 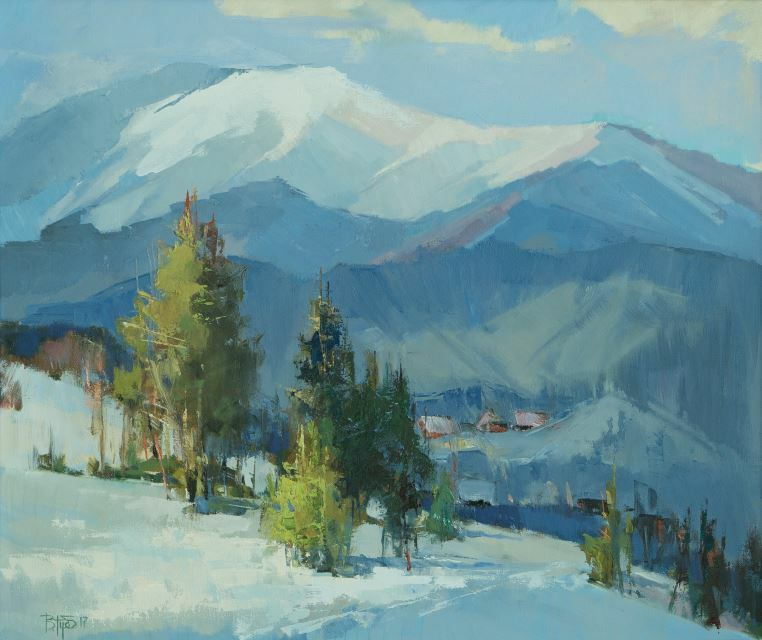 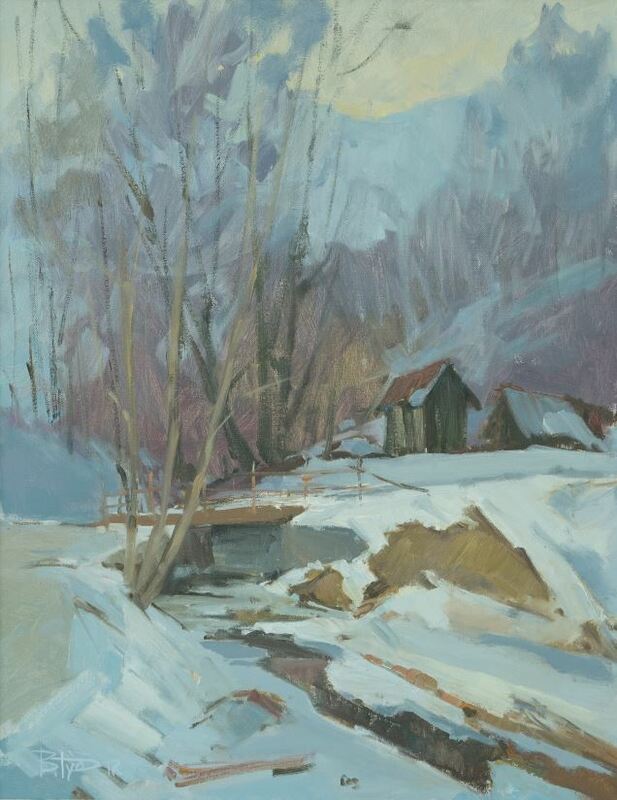 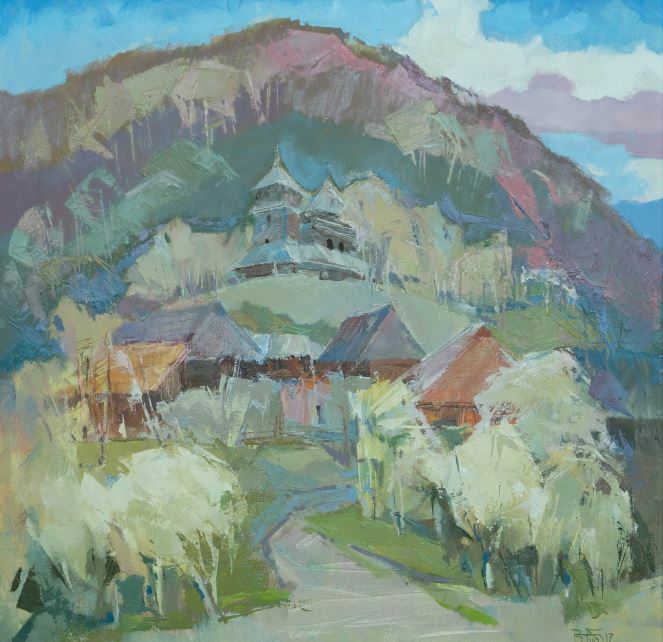 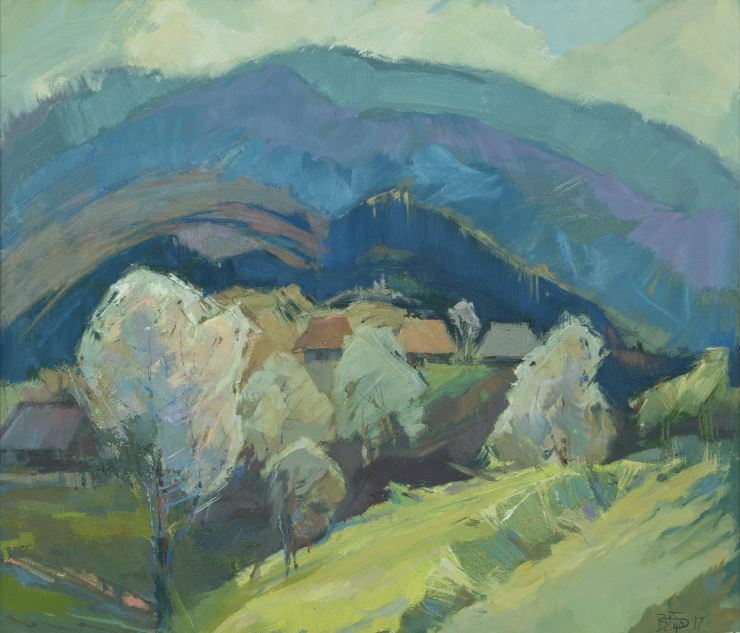 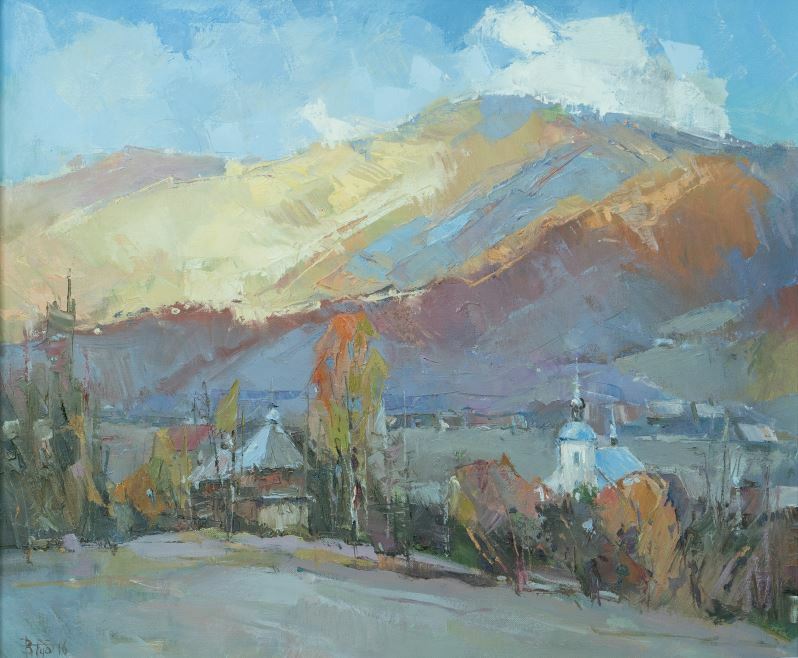 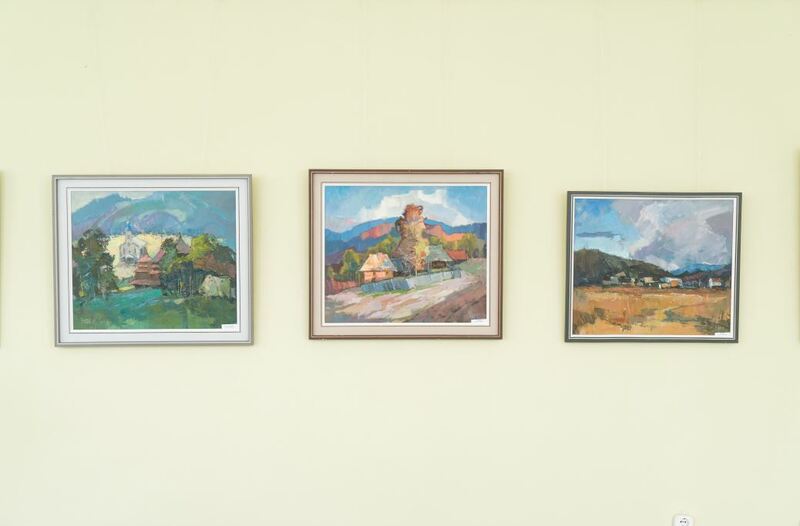 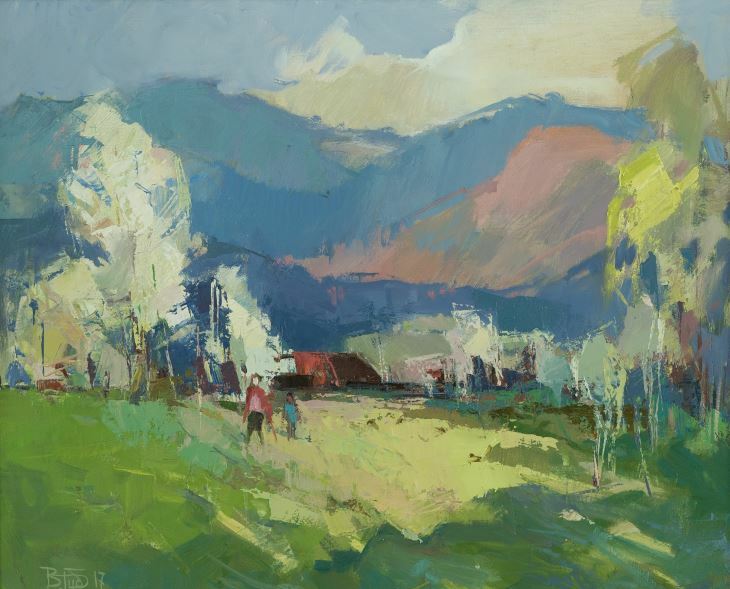 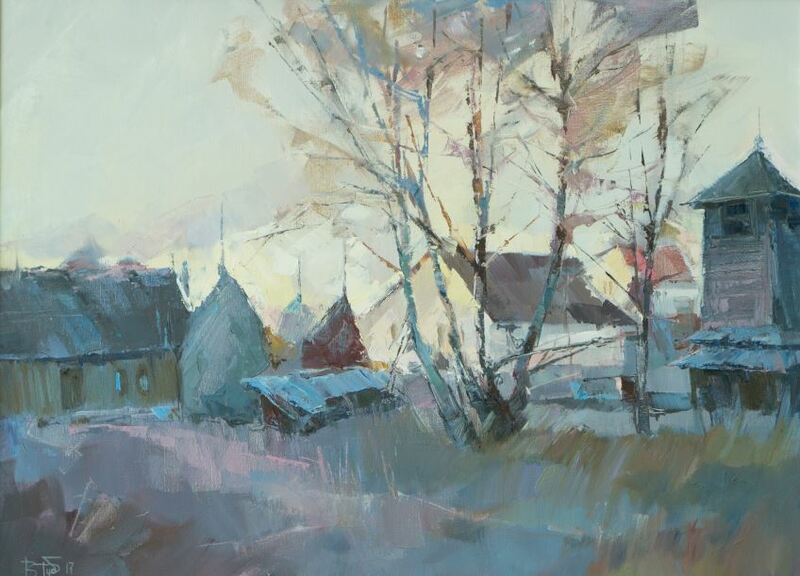 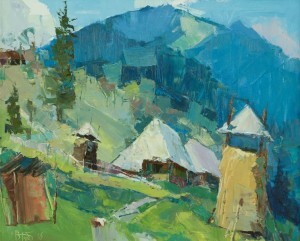 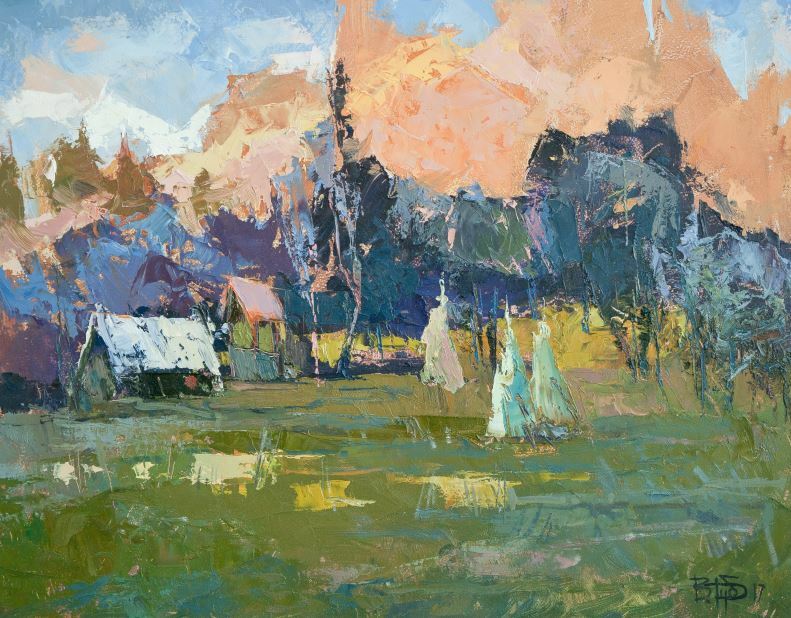 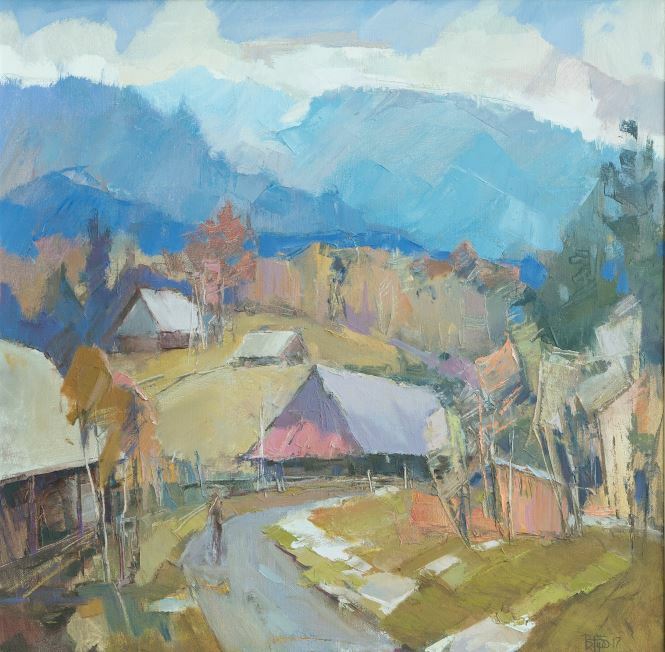 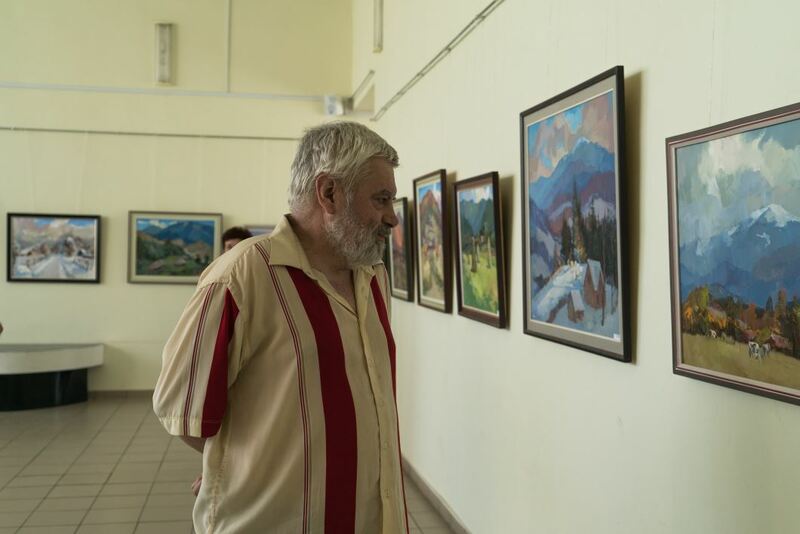 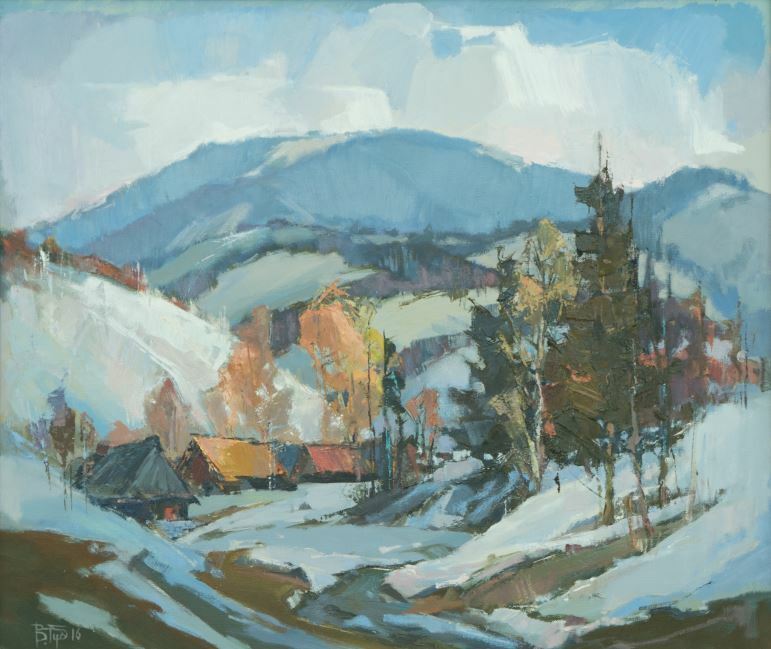 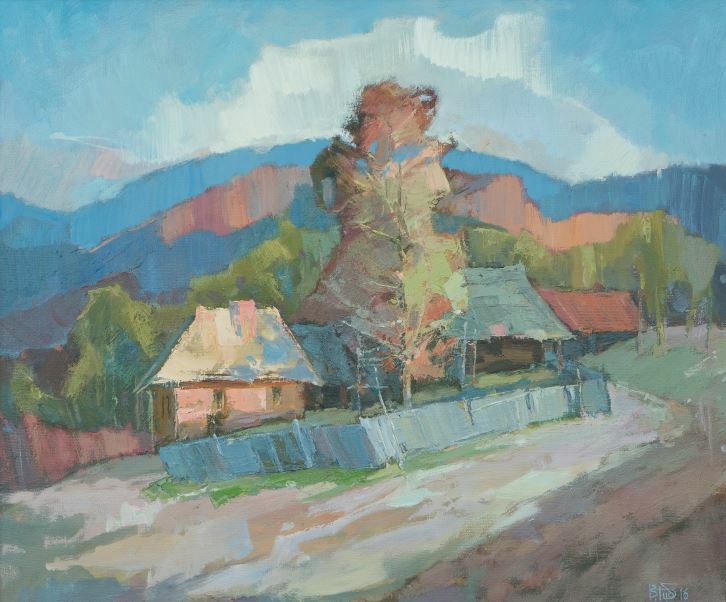 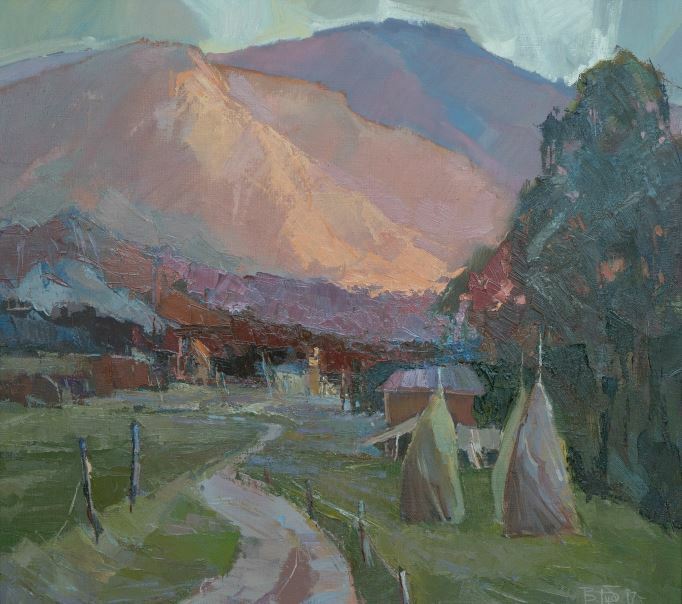 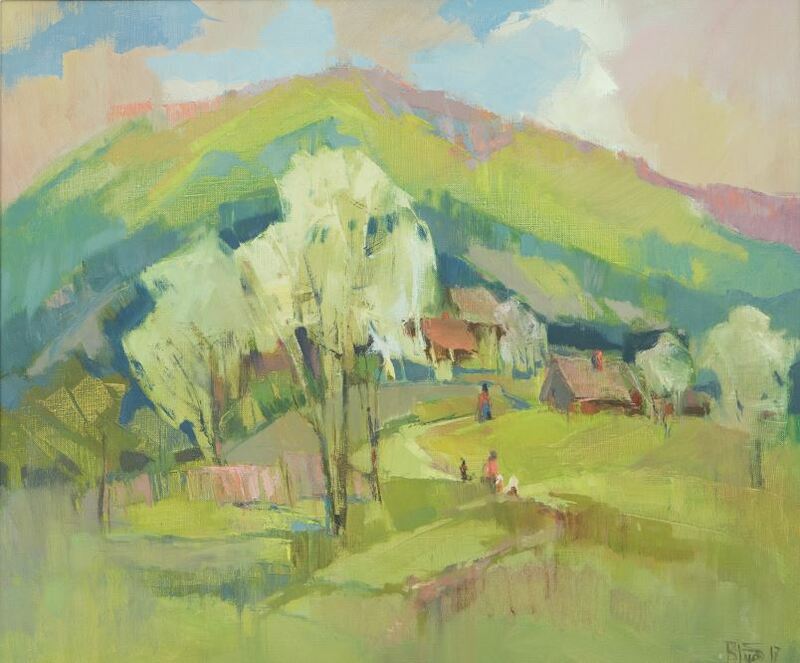 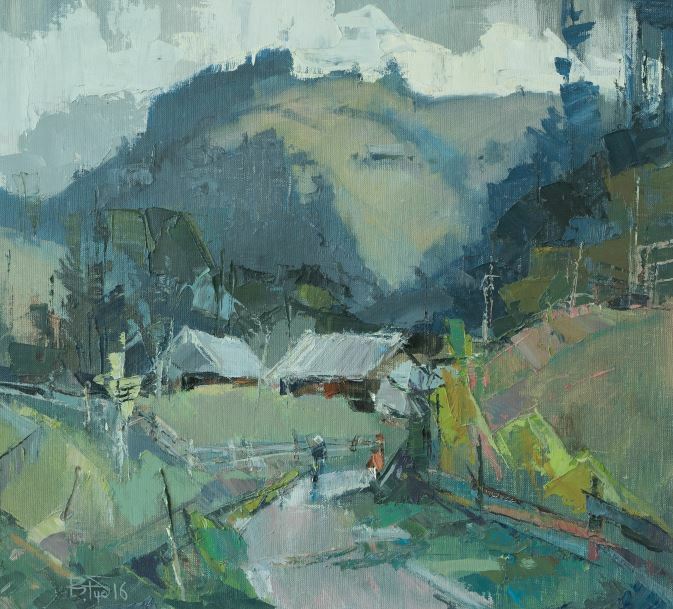 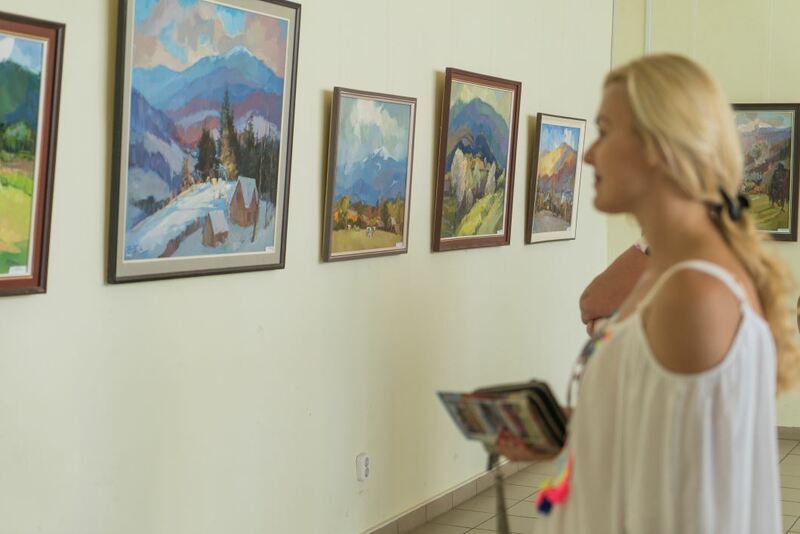 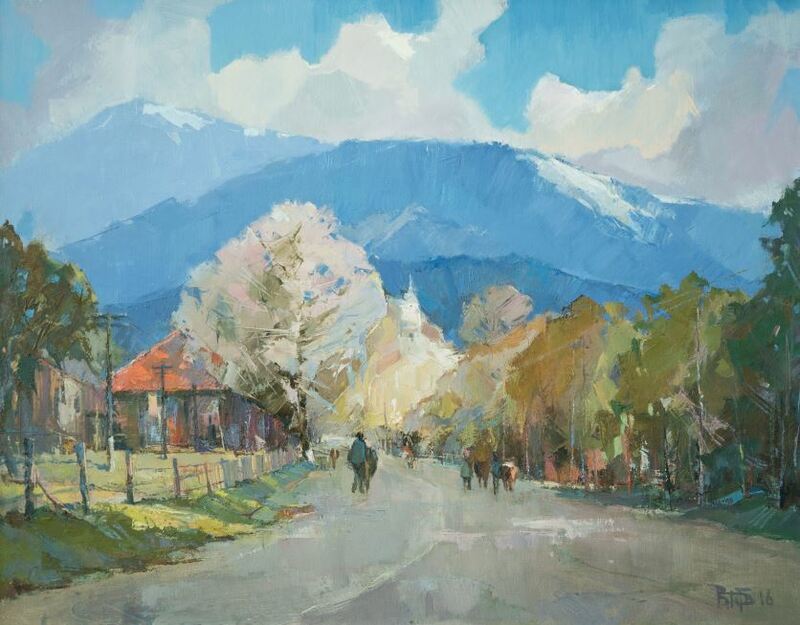 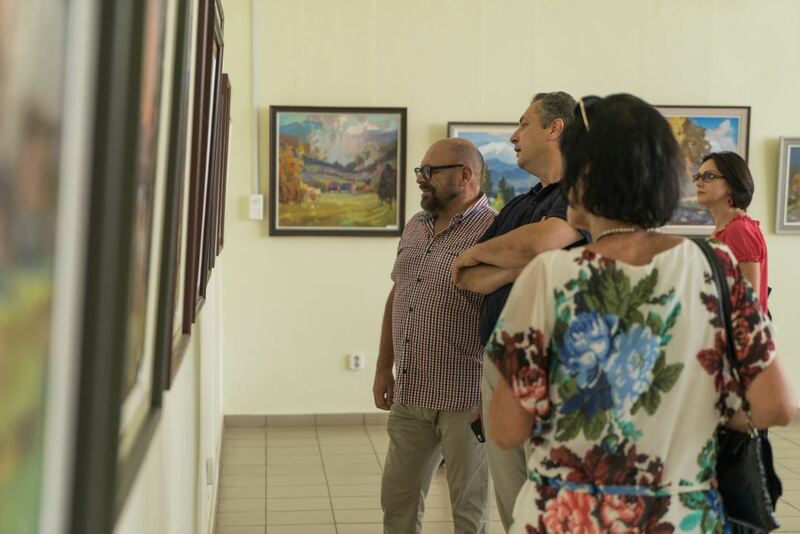 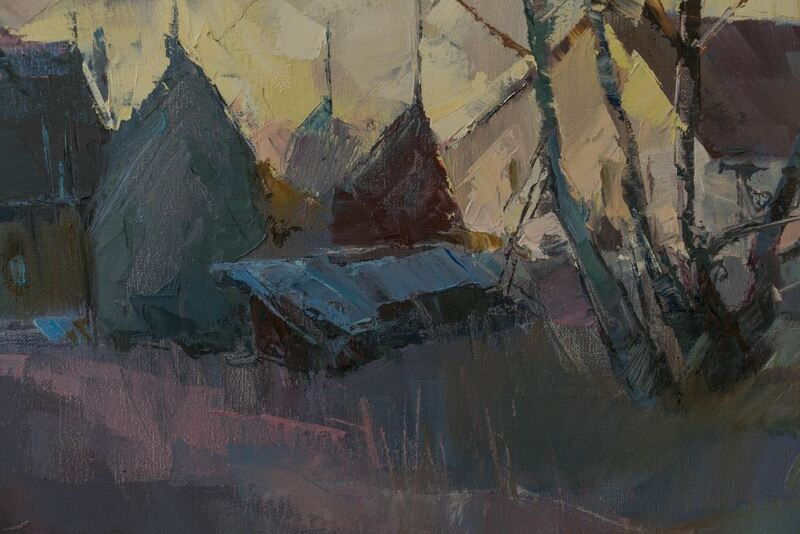 Vasyl Dub tirelessly depicts his boundless love to the mountains and nature of Transcarpathia on the canvases–it was felt by all who visited the opening of the artist's solo exhibition. 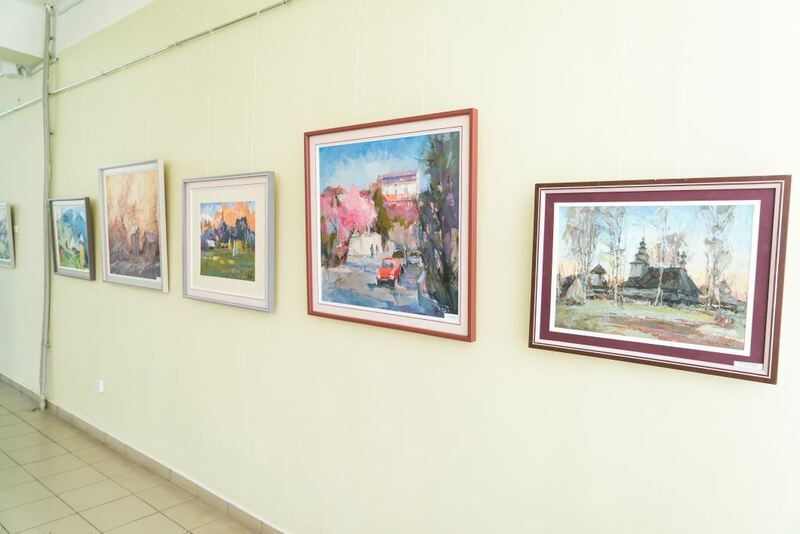 To the viewer's attention the author offered 42 works mainly of 2016-2017 years. 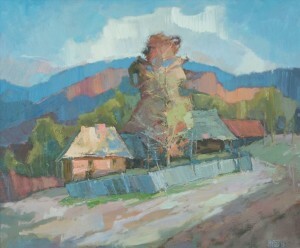 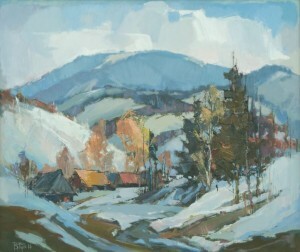 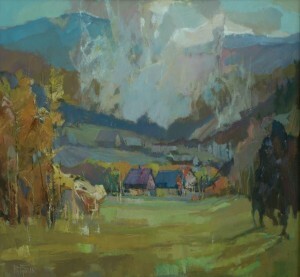 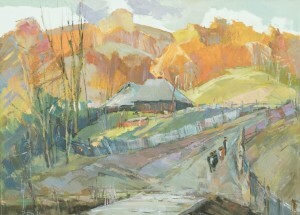 Most of all Vasyl Dub impressed with the landscapes of Mizhhiria, for example, Synevyr Poliana village, “The Old Village” of Kolochava – they were portrayed repeatedly. “I'm a mountaineer! I was born in the mountains, they are native to me, this is my element. 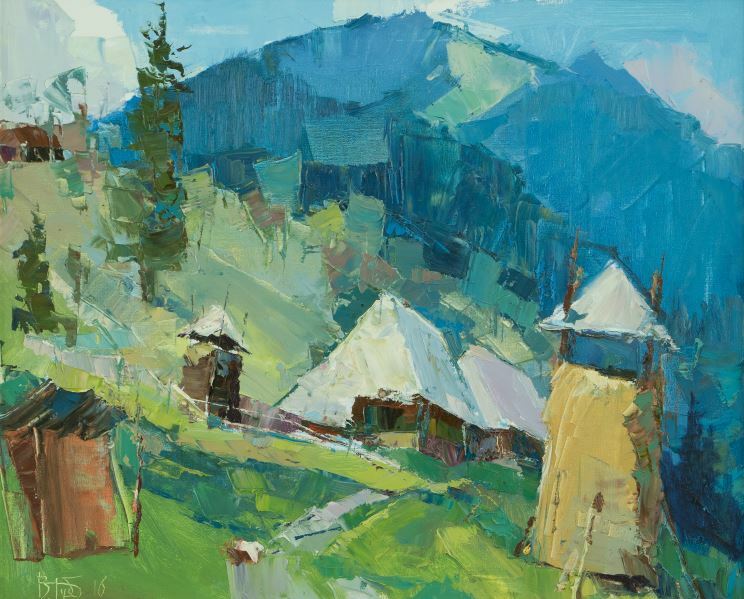 I would like to convey this beauty on the canvas, so that people can see it, pay attention,” –the artist says about his passion. 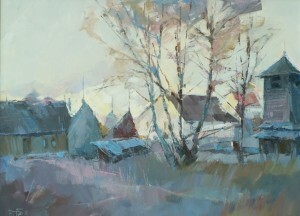 He especially likes nature in the morning which it can be seen in his works - the dawn at different times of the year. 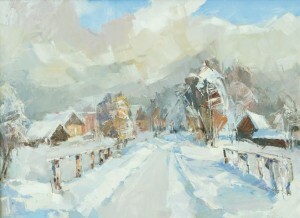 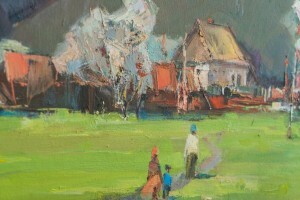 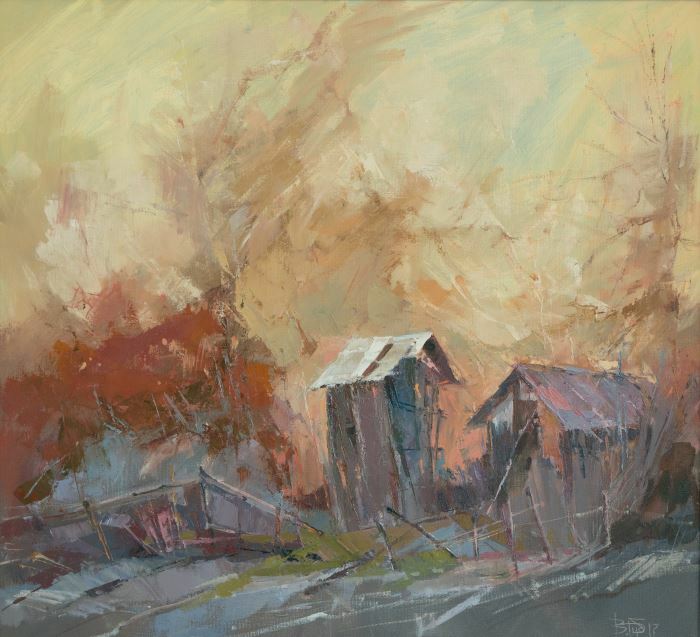 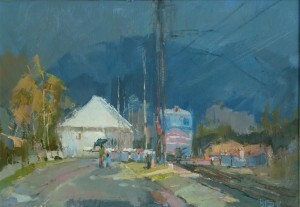 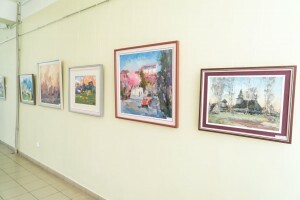 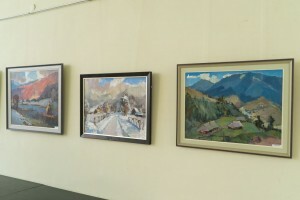 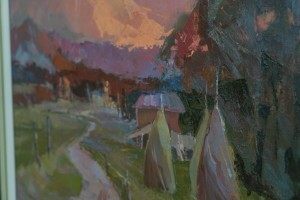 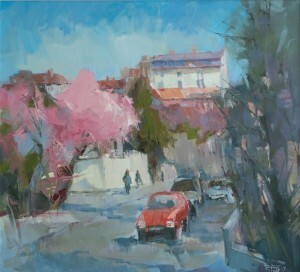 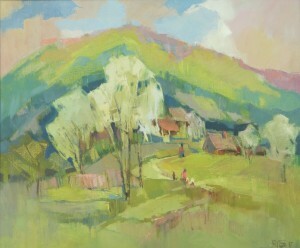 For Transcarpathia to play with colours on canvas, he uses oil paints and palette knife, chooses mixed technique. The audience is enchanted: not only the art lovers, but also the professionals speak a lot about the skills of Vasyl Dub. 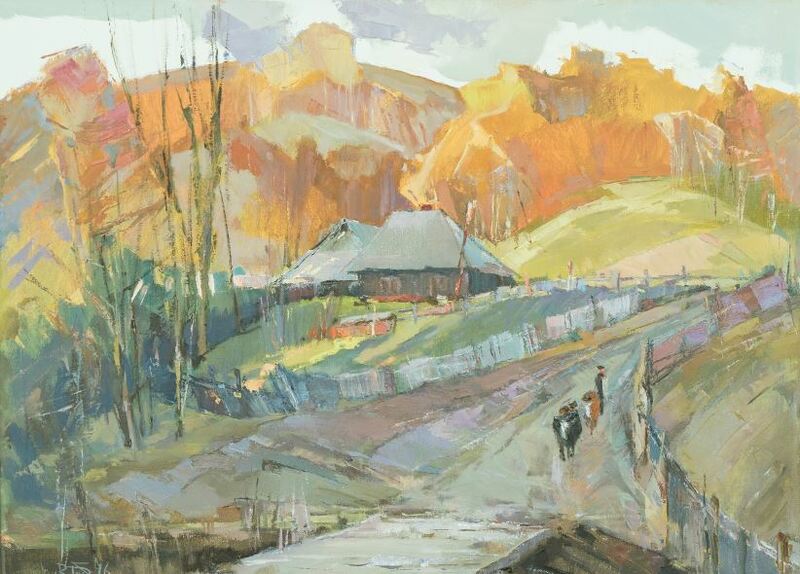 His colleague at the studio Emma Levadska notes: “Do you know why his works are different? 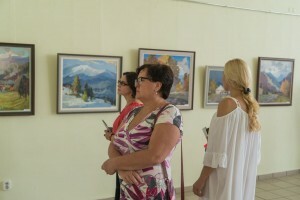 They are full of huge love to this work! It is not a kind of extra work for sale – it is great love. 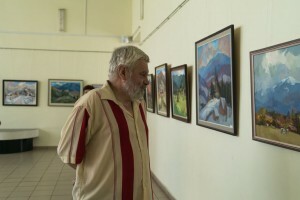 He is absolutely independent”. 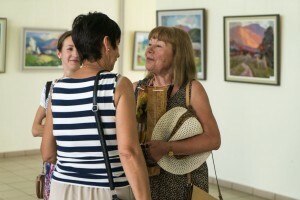 “That's fantastic! 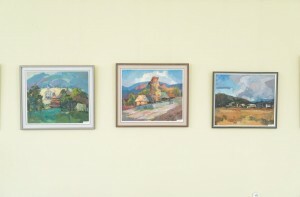 He paints much better than his colleagues, who have been doing it all their life. He found himself and it is not a copying – he creates,” – the People's artist of Ukraine Volodymyr Mykyta added. 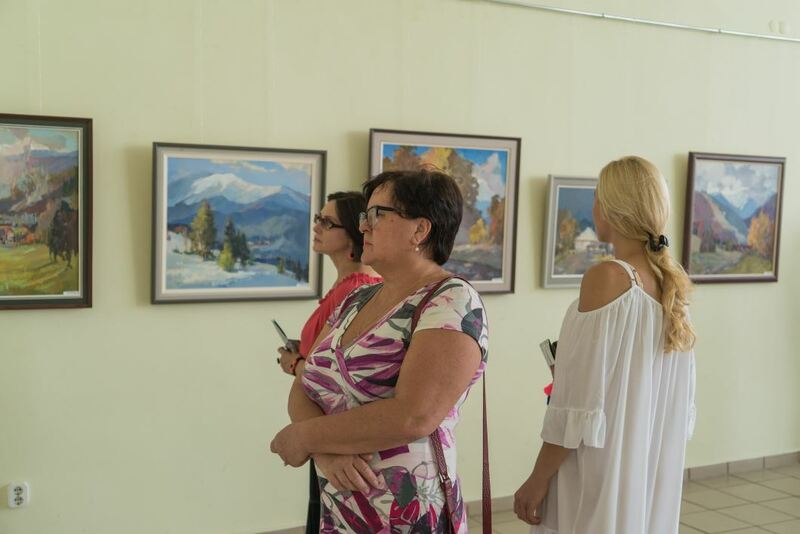 The exhibition will last for two weeks – until August 17, 2017.